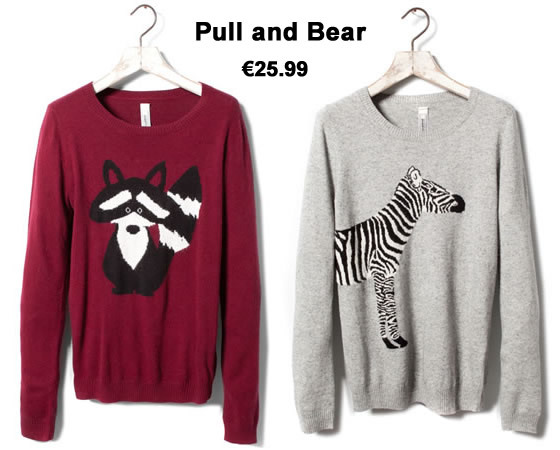 I love the new trend of using animals in sweaters. I mean, the animal print is a trend for a long time, but now what we see is animal faces and not the pattern as you can understand. I already talked about the Givenchy Rottweiler t-shirt that was a huge success all over the world but with the cold let’s forget about t-shirts and concentrate in warm and fluffy sweaters. The difficult thing here is to choose among several cute animals from cats, wolves, zebras and many others. Honestly want I really want is one of each!